If Chinese ASBM capabilities interest you, you should do yourself a favor and check out Dr. Erickson’s related post in its entirety. He includes at the bottom of the post a useful list of relevant recent literature, some of which I was already familiar with, but that also contains some new items that I had not seen before. The motherlode! 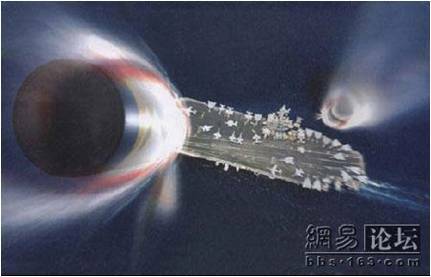 I think that China’s rapid military modernization, particularly as focused on so-called asymmetric capabilities (sometimes also called anti-access weapons) like ASBMs, computer network operations (CNO; so-called “cyber” or computer hacking capabilities), and anti-satellite weapons (ASAT) could indeed be “game changers” in the Taiwan Strait. In fact, it is likely that I will focus on some aspect related to this in my master’s thesis. Complementary to my last post about U.S. arms sales to Taiwan, today’s Taipei Times ran a feature describing the various weapons systems included in the approved package and a small section talking a little about what isn’t in the package but that Taipei would still like to get. F-16s are included in this latter category. Every time I see a list like this and compare it to what China’s modernized PLA is packing these days, I am always left wondering, why does Beijing get so worked up about these arms sales? The meager amounts of weapons and systems included in this list, while an improvement over Taiwan’s current capabilities, still would amount to little more than a relatively small speedbump. Of course, Taipei’s bet (hope?) is that this “speedbump” would buy them the time necessary in a conflict with China to allow U.S. military forces to intervene. Further, one would think that by this point, in 2010, China would no longer be surprised when the U.S. chooses to act according to its obligation under the Taiwan Relations Act of 1979, part of which stipulates that the U.S. will provide Taiwan defensive arms. In the face of the rapidly modernizing PLA just across the Taiwan Strait, it would be hard to characterize this arms package as anything but defensive in nature. The Taipei Times link is a PDF document. In late January, the US Department of Defense’s Defense Security Cooperation Agency announced the approval of a major arms package to Taiwan. Included in the US$6.4 billion deal were PAC-3 missile defense systems and associated equipment, UH-60M Blackhawk helicopters, Osprey-class mine-hunting ships, work on command-and-control systems, and Harpoon training missiles. Also in the pipeline are PC-3 Orion maritime patrol aircraft. While Beijing has reacted with anger at news of the sale, threatening economic sanctions against the US defense companies involved, the Taipei Times takes a closer look at each item and its capabilities. To cap things off, we look at what’s missing — and desirable. This feature, published today in the Taipei Times, continues here. via The Far-Eastern Sweet Potato: The ins and outs of the latest US arms package to Taiwan. Wired.com‘s Danger Room blog this week posted about an interesting development related to the Obama Administration’s recently proposed arms sales package to Taiwan. The sales as currently expressed do not include what is probably Taiwan’s most desired weapon system, F-16 fighter jets. However, certain constituencies in the U.S. are lobbying quite vigorously for these planes to be added to the list. 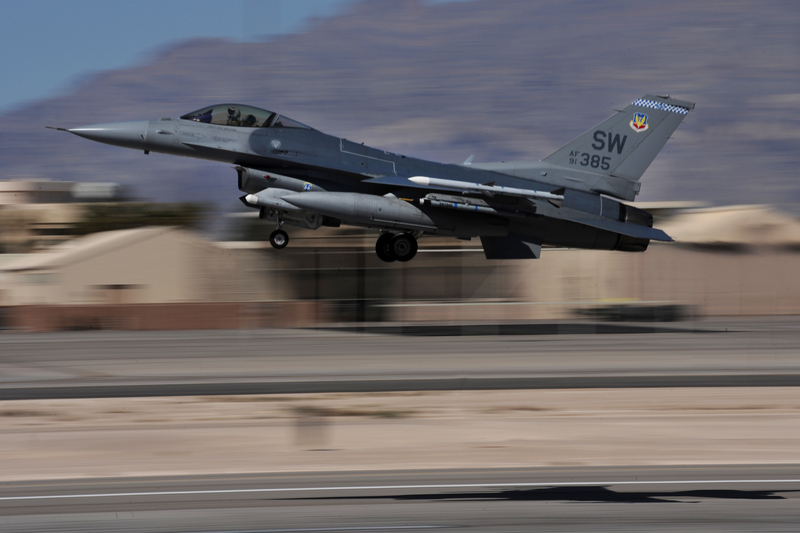 Understandably, in the event that the F-16 sales to Taiwan are approved, China would be even more displeased about the transaction than they already are. The full post from Danger Room is below. For national-security dorks who like to read the Defense Department’s 36(b) arms sale notifications, watching the back-and-forth over weapons sales to Taiwan is pure entertainment. It’s partly a question of political spin, but it’s also an interesting look at how the Pentagon sizes up the military balance between China and Taiwan. Back in January, the Defense Intelligence Agency issued a stark assessment of Taiwan’s air power: Without a serious upgrade, the report said, Taiwan’s air defenses would not be able to fight off an attack by China. The Pentagon report — which was sent to Congress in January, but only became public last month — noted the growing obsolescence of Taiwan’s fighter inventory, which includes F-5 Tigers, Mirage 2000-5s and some older F-16A/Bs. “Taiwan recognizes that it needs a sustainable replacement for obsolete and problematic airframes,” the unclassified version of the report said. But here’s the catch: The F-16 production line is eventually going to shut down as the United States and its allies switch to the F-35 Joint Strike Fighter. Now members of Congress are now stepping up pressure on the administration to sell the aircraft, in part to keep a production line in Fort Worth, Texas, open. And that proves the old adage: All politics is local, even when we’re talking about the Taiwan Strait. In a floor statement this week, Sen. Jon Cornyn of Texas appealed for the sale to go through. The reason? Constituent jobs. 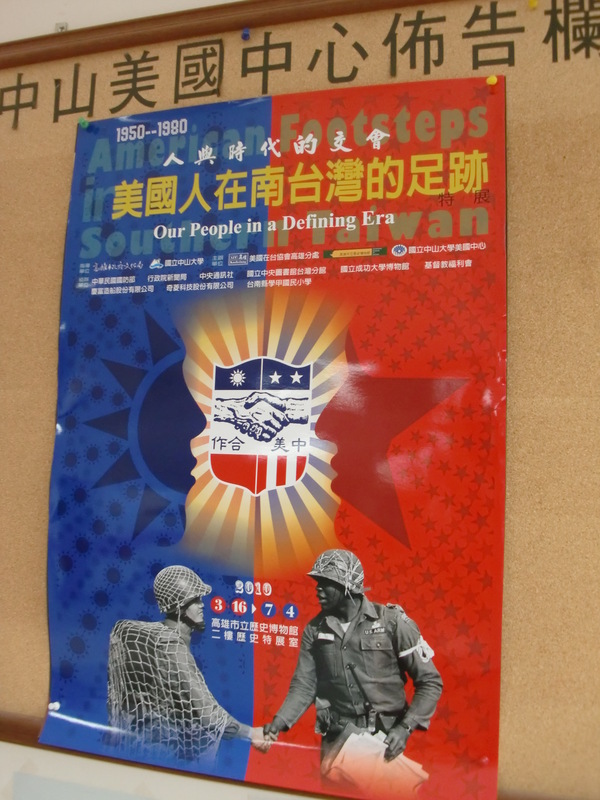 Latest in the “things I want to check out” category in Kaohsiung – an exhibit at the Kaohsiung Museum of History about the American presence in Southern Taiwan from 1950 – 1980. I am interested to see what kind of “footprint” there was here during that time, because I know that right now, the official U.S. presence is pretty small. In cooperation with the Kaohsiung Museum of History and the America Center located at National Sun Yat-sen University, the American Institute in Taiwan (AIT) Kaohsiung Branch Office is pleased to present “American Footsteps in Southern Taiwan,” an unprecedented museum exhibition which will be shown at the Kaohsiung Museum of History from March 16 to July 4. An opening ceremony will be held on March 18 with the participation of AIT Director William Stanton, AIT Kaohsiung Branch Chief Christian Castro, Kaohsiung Mayor Chen Chu and National Sun Yat-sen University President Yang Hong-dun. The “American Footsteps in Southern Taiwan” exhibit features stories of U.S. interaction with southern Taiwan in a key era from 1950-80. Utilizing historic artifacts, photos, taped interviews and documentaries, the exhibition gives the audience a broad overview of the American cultural, social, military and religious presence in Kaohsiung and southern Taiwan during that period and the impressions Americans and local Taiwanese had of each other. The items on display include a personal note written especially to commemorate this exhibition from U.S. Representative Lester Wolff (retired), one of the principal authors of the Taiwan Relations Act. Other unique items provide a rare glimpse into America’s multifaceted post-World War II economic assistance program in Taiwan. The exhibition also highlights a host of fascinating artifacts, photos and documents from the long-ago U.S. military presence in southern Taiwan. The Kaohsiung Museum of History is also proud to put on display for this exhibit an especially significant item acquired for its permanent collection – an antique karaoke machine with 30 vinyl records left behind by the U.S. Military Consulting Corps. Decades later, the machine is still functioning well, and during the exhibition, it will play those vintage vinyl records to give visitors an authentic nostalgic sense of this unique and defining era in Taiwan-U.S. relations. For further information about this exhibition, please visit the museum website:http://w5.kcg.gov.tw/khm. Just a reminder for readers…it’s not related to the stated goals and objectives of this blog, but since I am such a fan of Mullaney’s book, I felt that I needed to give his upcoming webcast at the Pritzker Military Library a shout-out. He’ll be speaking at 3:00PM CST on Monday March 8 (that’s 5AM on Tuesday here in Taiwan!) – don’t miss it! It can take an entire life’s worth of experiences to form the balance of a single, unforgiving minute on a mountain ridge in Afghanistan. Driven to excel by a demanding father, Mullaney graduated second in his class from the U.S. Military Academy at West Point. After completing the grueling courses of Ranger School, Mullaney continued to the University of Oxford on a Rhodes scholarship, earning masters degrees in diplomatic and economic history. In 2003, Capt. Mullaney was assigned to lead an infantry rifle platoon along the hostile border between Afghanistan and Pakistan with the 10th Mountain Division. One haunting afternoon, in the midst of a firefight, his education would be put to the ultimate test. In The Unforgiving Minute, Mullaney looks back upon his years of Army training, the books that inspired him, and the formative relationships of his life – from friends and mentors to his mother and father, as well as the woman who would become his wife. Where does a soldier find the strength to become a leader? What is the price of a salute? Following his return home, Mullaney served for three years on the history faculty of the U.S. Naval Academy, where he was charged with preparing young men and women to someday face an unforgiving minute of their own. Craig M. Mullaney was appointed Principal Director of Afghanistan, Pakistan, and Central Asia Policy at the Department of Defense in May 2009. He was previously the Chief of Staff for the Department of Defense Transition Team, and served as defense policy advisor for the Obama campaign during the 2008 presidential election. His military decorations include the Bronze Star, Army Commendation Medal with “V” device, Combat Infantryman’s Badge, Ranger Tab, and Parachutist Badge. Books will be sold at this event by the Book Stall at Chestnut Court, with 10% discount for members. Here’s another new article from Stars and Stripes that does a nice job of summing up very concisely the current state of affairs related to the Guam relocation. It’s interesting that what is most often stressed about the proposed realignment plan, as in this article, is the commonly referred to “not-in-my-backyard” issue – as in, we want the security that forces like U.S. Marines provide, but we don’t want them to come too close to where we live. Candidly, I think that most of our Asia-Pacific allies and partners would prefer for us to be closer to the potential rising threats in the region rather than farther away, but it is not popular politically for them to express this sentiment publicly. As for the people of Guam…I think they feel like a train is coming and they are on the tracks. In the long-term, the relocation might bring some benefits to Guam (economically, etc. 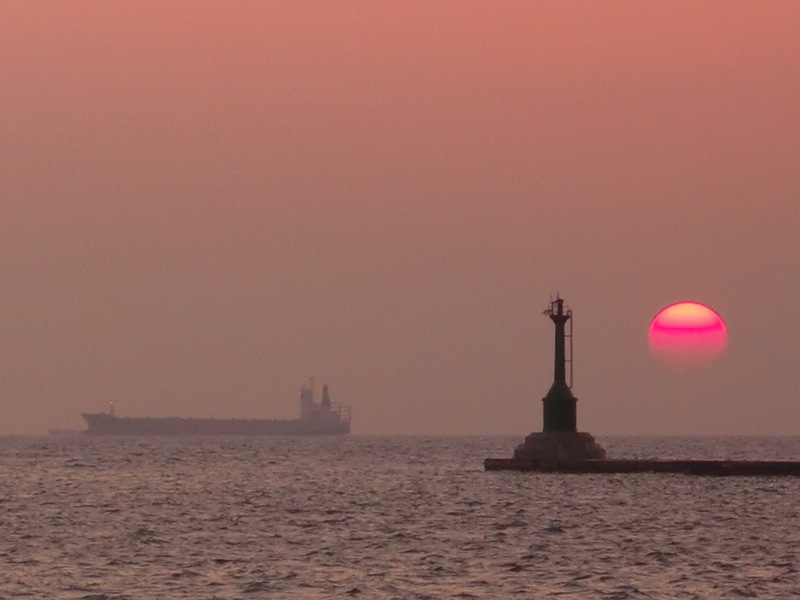 ), but there is so much “pain” required to get to that point (congestion on the island, changes in their accustomed way of life, and so on) that few look at it in that way. TOKYO — When it comes to regional security, many Western Pacific nations like the idea of thousands of U.S. Marines permanently stationed close by. As long as they are not too close. As part of a complex plan to reduce the sprawling American military presence on the Japanese island of Okinawa, U.S. officials approached Thailand, Singapore, the Philippines and Australia about the possibility of hosting permanent new American military bases. That left tiny Guam, which for more than six decades has served as a reliable American staging point during wars and an often-forgotten port and air strip during peacetime. Military leaders say that maintaining a stable home for U.S. troops in Asia is vital for security in a region where Islamic extremists are fighting in the Philippines and Indonesia, North Korea remains erratic and threatening, and China is seeking to expand its economic and military influence. Even if that stable home is more than a thousand miles from Japan. What’s more, the plans for stationing 8,600 Marines on Guam fit with the military’s emphasis on building long-lasting bases around the world that can provide rapid, flexible response in times of crisis. And it’s a friendly home for U.S. military assets that are not always welcome elsewhere, such as nuclear-powered aircraft carriers and high-flying Global Hawk surveillance drones. Many on Guam embraced the proposed U.S. expansion and the prospect of additional federal money for the island’s crumbling infrastructure and struggling public services. The long-term military investment — an estimated $10.3 billion for the Marines’ move alone — would put money back into a part of the United States, another benefit of building inside the country, Mitchell said. But as plans have evolved, so have concerns about how the island’s 178,000 residents will handle a huge spike in permanent population, which will be an estimated 34,000 new troops, civilian workers and dependents. The fast-paced construction schedule also could add nearly 80,000 temporary workers to the island by 2014. Among the environmental agency’s concerns: threats to 71 acres of coral reef in Guam’s main harbor and contamination risks to the island’s only freshwater aquifer. Other critics on Guam are concerned about plans to build expanded firing ranges and increase training flights on the island. Madeleine Bordallo, Guam’s delegate to Congress, said last month she would withdraw support for the buildup unless the Pentagon slows its construction plans. Around the same time, Sen. Jim Webb, D-Va., who chairs the Senate Armed Services personnel subcommittee, visited Guam and Japan and said he shared concerns about the construction schedule. Yet the military doesn’t seem to be backing down. In fact, it’s asking Guam to do more. The Army is now looking at Guam as one of five possible locations for its new joint high speed vessels. In a new article in Stars and Stripes, U.S. Marine Corps Commandant Gen. James T. Conway indicates that it is his belief that all the components of the Marine air-ground task force (MAGTF) need to remain in Okinawa in order to facilitate effective training for ongoing overseas contingencies. CAMP FOSTER, Okinawa — As long as Marines remain on Okinawa, it’s vital to retain both ground and air elements on the island, the commandant of the Marine Corps said Tuesday. “It’s important that we keep our Marine air-ground task force together,” said Gen. James T. Conway, who stopped on Okinawa on his way to participate in the commemoration of the 65th anniversary of the Battle of Iwo Jima. In an interview with Stars and Stripes, he emphasized that closing Marine Corps Air Station Futenma and moving Marine air operations to a new facility on Camp Schwab remains the best option for maintaining training and ensuring stability in the region. The U.S. and Japan agreed in 2006 to close Futenma and move Marine air operations to a new air facility to be built on the lower part of Camp Schwab. However, Japan’s new left-center government decided late last year to review the project, examining how the Camp Schwab project was selected and whether the Marines can be based somewhere else. On other matters, Conway said he is pushing for funds to replenish equipment. “We’re encouraging Congress to recognize the need to get us up to pace with the losses that we’re experiencing both in combat and just from equipment being worn out,” he said. Anticipating his trip to Iwo Jima, Conway said the 1945 battle remains an important part of the legacy of the Marine Corps. “It wasn’t the most exquisite campaign, it wasn’t the longest, it wasn’t the most bloody fight in the Pacific, but all that said, it is an epic battle that probably holds more importance to our legacy than any other,” Conway contended. Conway said Afghanistan is becoming another important part of the Corps’ legacy. I read elsewhere that this trip to Okinawa and Iwo Jima is a “farewell” for General Conway in the Asia-Pacific region – his term of service as Marine Commandant is due to expire later this year. In yet another article I saw a “short list” for the job, which unsurprisingly included General James Mattis, currently commander of the U.S. Joint Forces Command, and a pair of three-star generals, one of whom was unconventionally promoted from 1-star to his current rank (skipping right over the two-star rank, major general) in 2007, reportedly for this very reason, so that the general could be on the short list when it was time to pick the next commandant. It will be interesting to see who ends up taking over as the Corps’ top officer. Finally, somewhat related, I finally saw Avatar today, and while watching the movie, I couldn’t help but think that the caricatured Marine colonel in the movie (Colonel Miles Quaritch, played by Stephen Lang) reminded me of General Conway, appearance-wise. Without the cranial scar, of course. In an interesting collision of a pair of frequently discussed topics on this blog, I saw today that Taiwan’s president plans to visit Guam later this month as a part of a series of visits to various locations in the South Pacific.